My Buddies and I: Spring Forward With Active Play Indoors! 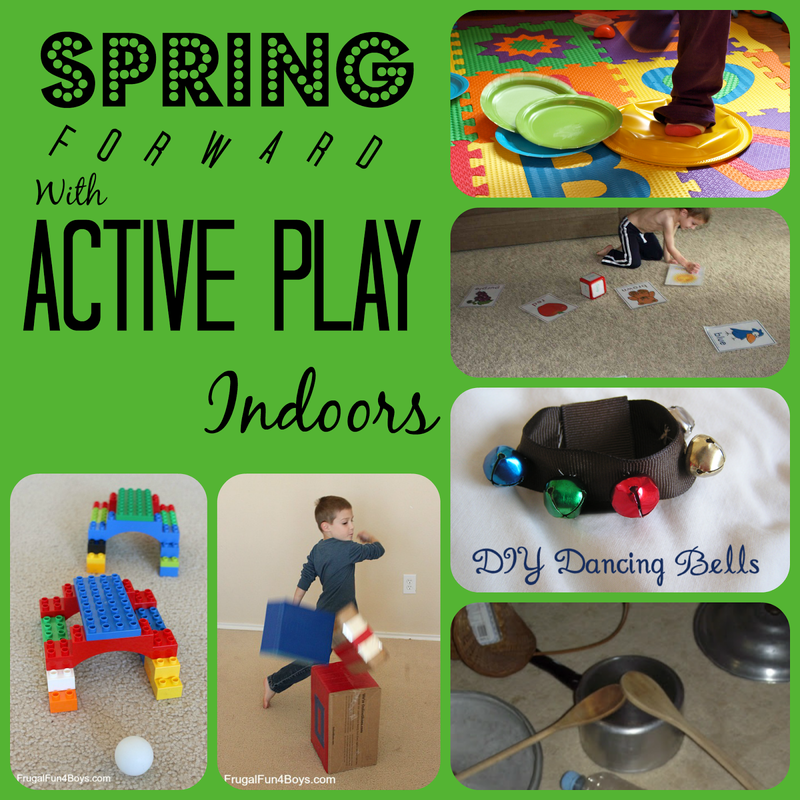 Spring Forward With Active Play Indoors! Spring is springing forward and my buddies are full of energy. The weather is warming up and we are spending more and more time outdoors, but we still have days of heavy rain where my buddies need some active play indoors. 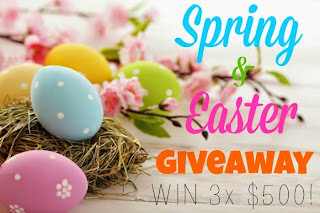 This is an exciting post for me because it's part of another BIG GIVEAWAY! You could win $500! That would buy a LOT of chocolate eggs! Make sure you enter. You'll find it at the bottom of this post. It's super exciting! That's not all, though, you will ALSO find tons of other great ideas for your kids on a whole variety of topics. It's all right here! Active kids in a small space. We've had a lot of fun, but after a while, even the best activity gets kinda old. So, I had a look around for some new ideas. I was not disappointed and you won't be either! I found several games I know my buddies would love. I'm sure yours would love them, too. 1) Duplo Golf by Frugal Fun 4 Boys. I can't wait to set this up and surprise my buddies with it! I even have a little golf club somewhere. 2) Ninja Box Kick-Down also by Frugal Fun 4 Boys. I have a very physical group and it's not easy to find opportunities to kick indoors. This would be perfect for that! 3) Toddler Twister With Party Plates by The Outlaw Mom. Simple and fast set up make this activity a hit with me! 4) Colour and Movement Game by Learn Play Imagine. I would love to make this game for my buddies. There's lots of opportunity for learning, too! 5) Dancing Bells by Rainy Day Mom. We have a few of these but not one of them are as pretty or colourful as these ones! 6) Kitchen Band by Mummy Musings and Mayhem. This is another easy and fast set up. Though it wasn't created to get kids moving, I know that when my buddies get to making music, they also get to moving! 7) Big Body Play by Mama OT. This post has a great collection of activities that I cannot wait to try. I couldn't choose just one to share with you. You'll just have to go over and check them all out! There is also a great explanation of big body play and how children benefit from it. 8) Indoor Hop Scotch by The Outlaw Mom. Though we have a premade version, you don't need one with this idea. Lots of variations! 9) Indoor Bowling by Learn With Play at Home. We haven't done this one in a while, I think we will have to do it again soon! 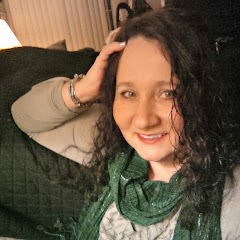 Follow Suzanne Schlechte's board Fun & Fitness 4 Kids on Pinterest.